This graph depicts the amount a NFL player will be paid for playing in the Super Bowl from 2011 to 2020. 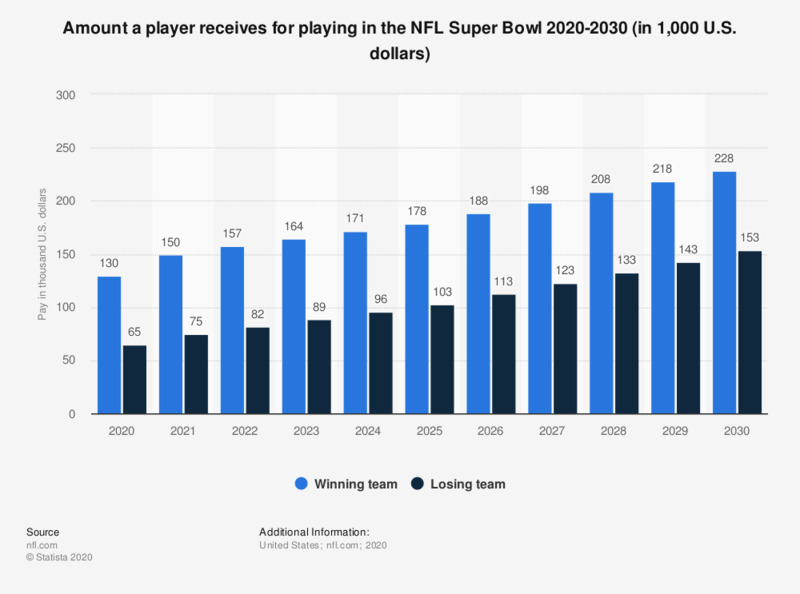 In 2015, a player on the winnning team in the Super Bowl would receive 102,000 U.S. dollars for winning the Super Bowl. The Pittsburgh Steelers have the most Super Bowl wins of all NFL teams. Everything On "Super Bowl" in One Document: Edited and Divided into Handy Chapters. Including Detailed References. Are you hoping to see any special advertising to air during the Super Bowl?